Boston are in attendance at the NVIDIA GPU Technology Conference (GTC) in San Jose this week, if you're not here then you can keep up with all the action here on the Boston Blog. We'll be documenting the tech on our booth as well as, of course, the hottest new releases from the Keynote delivered 9am PST. 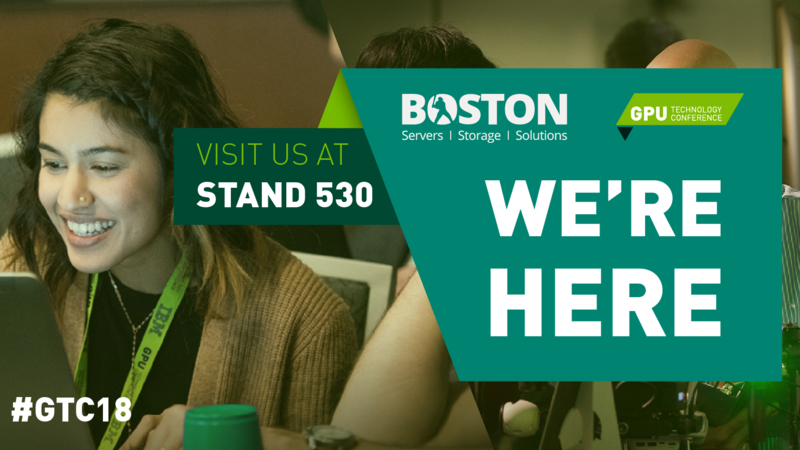 The BostonLabs team are available as always to speak with you about your requirements or to book you in for a Test Drive on any of our solutions including the ANNA Volta XL and NVIDIA DGX products. GTC features the worlds leading GPU-led technologies and systems. From autonomous cars to virtual reality, there will be lots to see and experience, which of course includes our stand (520); where you can view our supersized ANNA Volta XL and Flash-IO Talyn that work seemlessly together to deliver Deep Learning in a Flash! We've got lots to talk about, if you're going and want to reserve some time with our experts to discuss your requirements contact our sales team. Solving one of the biggest challenges in computing today, Excelero enables low latency and high-performance access to NVMe volumes to be delivered to remote clients with minimum processor overhead. Employing technologies such as RoCE v2 and 100Gbit/s EDR InfiniBand or 100GbE from Mellanox’s Connect-X 5 range, processor overhead and latency is kept low, whilst bandwidth is plentiful. 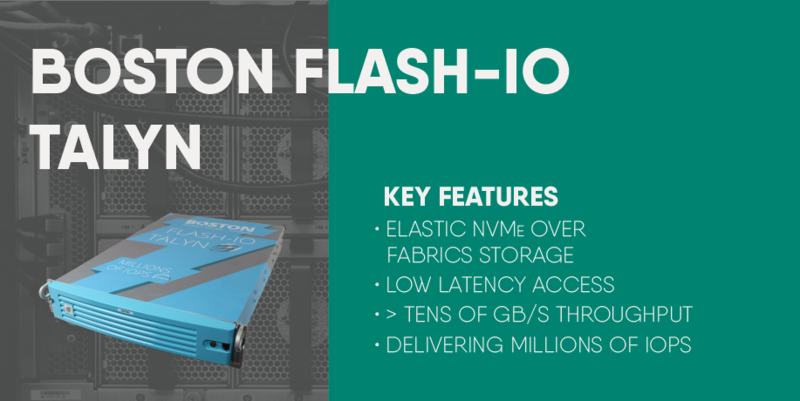 Discover more about the Boston Flash I-O Talyn on our stand! On our booth we'll be displaying the Boston ANNA [Artificial Neural Network Accelerator] Pascal XL featuring space for 8 NVIDIA® Volta® V100 GPU accelerators for deep learning training. 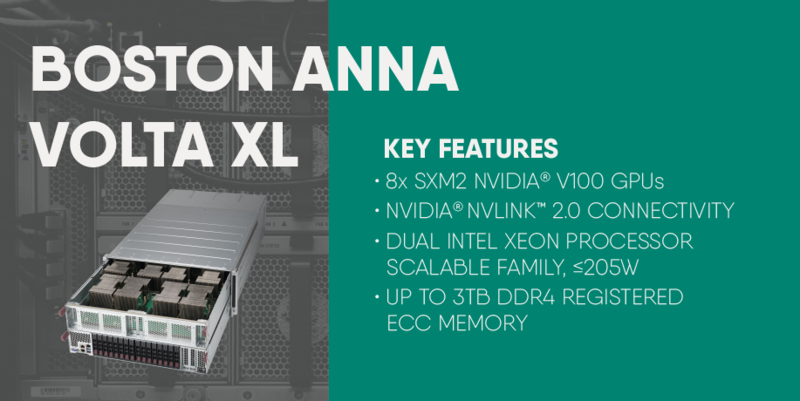 The Boston ANNA Pascal XL is purpose-built to dramatically reduce training time harnessing the power of NVIDIA's most powerful GPUs. Finance, Government, Broadcast & Media, Scientific Research, Oil & Gas, Manufacturing and Bioinformatics are simply a few of the verticals that can leverage the vScaler cloud platform and services. 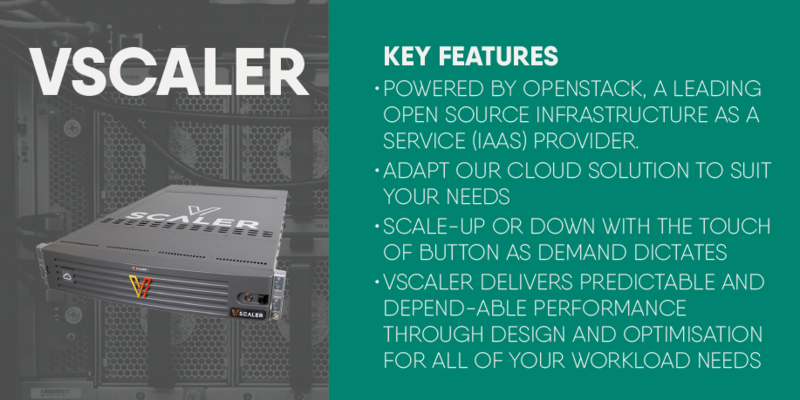 vScaler allows you to provision full HPC-on-Demand clusters, Big Data analytics, accelerated GPU compute (for Machine Learning), tiered and accelerated storage platforms. In contrast with other IaaS (Infrastructure as a Service) only platforms, we work with our clients to optimise their infrastructure (hardware and network) to allow their desired applications to run successfully in a private cloud environment. vScaler enables users to spin up a deep learning environment with all the appropriate DL frameworks installed and ready for use. These frameworks are also accelerated using the world’s fastest GPUs, purpose-built to dramatically reduce training time for Deep learning and Machine Learning algorithms and AI simulations.